Sita Sahu accompanied seven other kids to Shivraj Singh Chauhan's residence on June 8, 2011 for tea with the chief minister. She returned on July 6, 2011 from Athens with two bronze medals -in 200 metres and 1,600 metres- from the special Games. After this people announced cash prizes for her but as words, promises remained words and poor Olympic Winner got nothing. "They promised her the moon, but nothing has come her way. Now we have decided to teach her other skills that would fetch money,"
My daughter can roll out perfectly round 'gol gappas' and fry them golden brown,"
She became champion and won medals without any help from government of India. Government neglect has stopped the 15-year-old athlete's promising career in tracks. 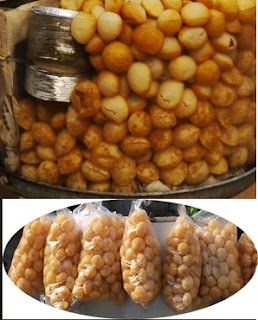 It is a popular street side snack in India. If some TV channel takes this up, she might get some help, I think. Politicians everywhere is the same. What a shame, this really needs to be publicized more.